"Something New" album. The in-depth story behind the Beatles' fifth American album. Recording History. Origin of the Album. Capitol Records. While a title like "Something New" wasn't as imaginative of an album title as could probably have been conceived, Capitol Records should be congratulated for doing their best to bring new Beatles product to the American market as quickly as possible. They knew the thirst that US teenagers had for anything "Beatles," as witnessed by the extraordinary sales of records on MGM and Atco Records that featured The Beatles as a back-up band for lead singer Tony Sheridan. But since Capitol had the undisputed contract to release new official material from the group, they made sure we got it. This is not to say that there wasn't any controversy surrounding the release of what was the latest Beatles material at the time. Back in October of 1963, before Capitol agreed to release Beatles music in the states, United Artists secured the rights for the soundtrack album for their first movie "A Hard Day's Night" in America. 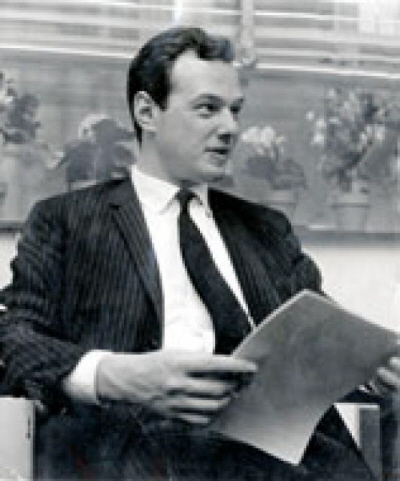 Since Beatles manager Brian Epstein was anxious for any major US record label to jump on The Beatles bandwagon, he agreed. It wasn't until late November of 1963 that Capitol entered into a licensing agreement with EMI to be the official record label to release Beatles music in America. 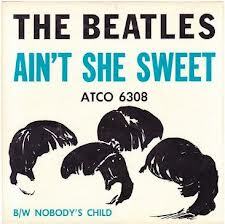 While there were disputes (and lawsuits) regarding Beatles material produced before this date, everything made after this date was to go directly to Capitol for release without dispute. Except, that is, for the soundtrack album for the August released film "A Hard Day's Night." While United Artists were secured the soundtrack album, Capitol would still be able to release this material as they saw fit, as long as it wasn't a "soundtrack album." Therefore, they immediately planned on releasing a pseudo-soundtrack album entitled "Something New." Using strategic public relations, Capitol released information about this proposed album to Billboard magazine, which was printed in their July 4th, 1964 issue. The album was to contain all seven songs from the movie plus five previously unreleased songs, making a total of twelve tracks. They proposed releasing the album by August 1st and, as the article stated, were "at their battle stations" with United Artists as to "which label can out-promote, out-merchandise and out-maneuver the other." With only the mono masters available, United Artists were the first to draw, rush-releasing their soundtrack album on June 26th. Since this album was becoming one of the fastest selling albums in the history of the record business at that time, Capitol began to re-think their strategy. They decided to bump up their release date to July 20th and make the previously unreleased material the focus of the "Something New" album. Since they were free to release the soundtrack songs in other forms as well, they planned and executed the release of three singles made up entirely of soundtrack songs. 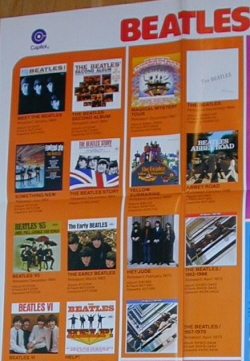 Back cover of "Something New"
Instead of "Something New" containing all seven soundtrack songs as originally planned, Capitol decided to drop "A Hard Day's Night," "I Should Have Known Better" and "Can't Buy Me Love" from the album. All three of these songs were previously released on Capitol singles anyway. The four soundtrack songs were put on side two of the album so as to truly feature "something new" on the first side. 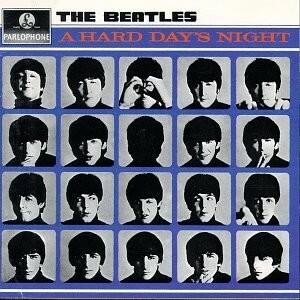 Three tracks from side two of the recently released British album "A Hard Day's Night" graced side one of this album, namely "Things We Said Today," "Any Time At All" and "When I Get Home." 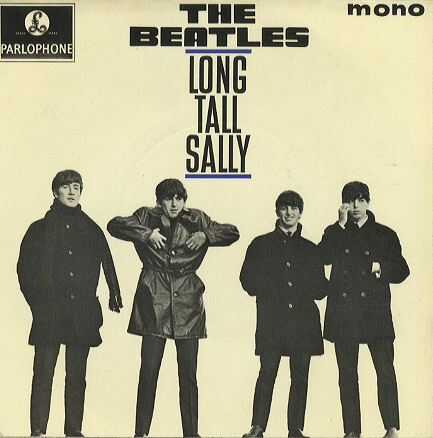 Two of the tracks from their new British EP "Long Tall Sally" hadn't been released in the US yet, so those songs, "Slow Down" and "Matchbox" made the US album as well. "I'll Cry Instead" was originally slated to be in the movie but was dropped at the last minute, and because of this, United Artists included it on their soundtrack album. In order to start off the Capitol album on a strong note, "Something New" also contained the song. It was released as a Capitol single as well. In order to fulfill the eleven song requirement, they easily could have used the remaining unreleased track from the British album, namely "I'll Be Back." 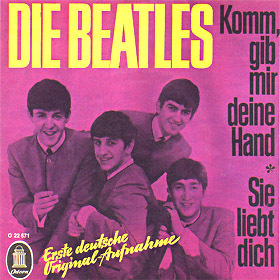 Instead, Capitol thought that an interesting novelty for the album would be to include the recently recorded German version of "I Want To Hold Your Hand," called "Komm, Gib Mir Deine Hand." In order to promote what Capitol thought was a clever idea, the back cover liner notes claimed, "One of the most popular is 'Komm, Gib Mir Deine Hand,' the German-language version the boys made of their sensational Capitol hit." The Beatles, George Martin and Brian Epstein were never too happy about the 'pieces-parts' albums Capitol put together for the US market, but another thorn in their side appeared in the liner notes on the back of this album cover. "Produced in England by George Martin and in the U.S.A. with the assistance of Dave Dexter, Jr." was proudly printed on the cover, insinuating that Dave Dexter, the man who had four times rejected The Beatles' records for American release, had something to do with producing this album. His involvement with this album apparently amounted to choosing which songs made the cut and possibly the album title and running order, which was something nobody in Britain was happy about anyway. The entire contents of "Something New" were recorded in six days, spanning sporadically from October 17th, 1963 to June 2nd, 1964. The intent of these recording sessions, of course, was not to complete an eleven track American album, but mostly to compile a British album which would serve as the soundtrack for their first feature film "A Hard Day's Night." The earliest recorded song on the "Something New" album was not even intended to be released in America or Britain. On January 29th, The Beatles convened in EMI Pathe Marconi Studios in Paris to record German versions of two of their biggest hits, which were intended only for German ears. In Capitol's quest for as many Beatles tracks as possible, "Komm, Gib Mir Deine Hand," utilizing the rhythm track of "I Want To Hold Your Hand" recorded on October 17th, 1963, made the grade for the American album. 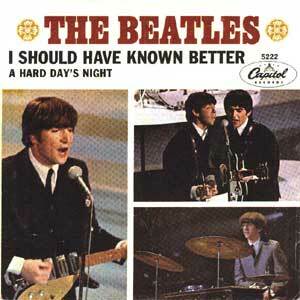 To complete the amount of songs required for the movie, the last two Beatles recording sessions resulted in four songs that, along with the German song, made up side two of "Something New." 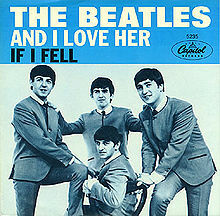 February 27th saw "And I Love Her," "Tell Me Why" and "If I Fell" recorded in EMI Studio Two, while March 1st resulted in "I'm Happy Just To Dance With You" being recorded in the same facility. After a long break from the recording studio to film the movie, they returned to record the final songs to be used for side two of their British soundtrack album. 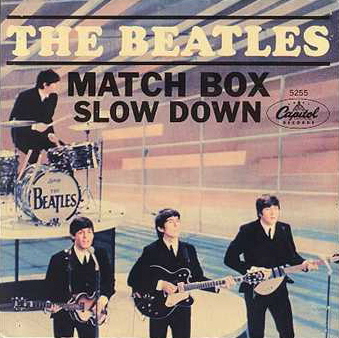 The session on June 1st produced "I'll Cry Instead" and two songs that didn't make it on the British album, which were "Matchbox" and "Slow Down." June 2nd resulted in "Any Time At All," "Things We Said Today" and "When I Get Home" being fully recorded. These two June sessions ended up comprising the entire side one of the "Something New" album, which truly was as "new" as you could get. The success of this "pieces/parts" album was quite staggering in consideration of the fact that nearly half of the tracks were already released on the United Artists' soundtrack album. It raced up to #2 on the Billboard album charts for nine straight weeks (not able to pass the soundtrack album at #1) and sold over two million copies. For many reasons, though, "Something New" endured with great longevity as an essential Beatles album much more than the United Artists album had. For one thing, the soundtrack album only had eight Beatles songs and contained four orchestrated tracks from the film, which didn't make for good album listening unless you were George Martin fans. Second, audiophiles couldn't hear The Beatles tracks in true stereo on the United Artists album, since they rush released it before they could have received the stereo masters from Britain. 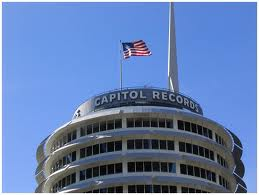 Lastly, and probably most importantly, everyone knew that Capitol Records was the official label that carried The Beatles in the US. Even though Capitol reissued the soundtrack album when United Artists Records went out of business in 1980, sales of "Something New" still outshone the soundtrack album by leaps and bounds. So, until the compact disc release of The Beatles catalog in 1987, "Something New" was a must-have to complete your Beatles collection in America. CLICK ON THE SONG TITLES BELOW TO READ THE IN-DEPTH HISTORY OF THE SONGS ON "SOMETHING NEW"
"A Hard Day's Night" Soundtrack PREVIOUS - NEXT "Beatles '65"